Radio Sandino, Nicaraguan clandestine radio station, voice of the Sandinista National Liberation Front. Recorded the day Anastasio Somoza DeBayle resigned the presidency and fled to Miami. "Somoza is leaving. During these moments, [inaudible]. No one shall act freely. Everyone should act under orders of the one responsible [over them], under instruction of the national joint leadership, FSLN (Sandinista National Liberation Front). We must prevent, at all costs, the individual energy and [inaudible]. The FSLN guarantees publicly and emphatically to respect life and physical integrity of all military and their families once this fight is over. Nicaraguan brothers, abiding by the provisions of the new government, FSLN, reaffirms publicly that executions will not be allowed, nor physical violence against those military members who comply with the orders to ceasefire. Denying disseminated malicious versions by the Somoza [government], the new government of national reconstruction guarantees that the death penalty shall not apply to any military member guilty or not of a crime. The ordinary courts of justice will be the ones who will recognize [inaudible] and judgement. We alert all of the honest officers of the national guard that the Somoza Security Office has initiated a fierce persecution against all honest officers. We call upon you to not let them, and to trust in the guarantee the new government of national reconstruction offers you. We reiterate that every honest officer can integrate to the new patriotic military. We know that many military members have not had the opportunity to get out of the Somoza military. To those, we ask to have confidence in the imminent victory." This recording was made on July 17, 1979 at 0500 UTC in Plymouth, MN (USA) using a Hammarlund HQ-180 and longwire antenna. As for radio station NMC, I forget the frequency. It was somewhere in the aircraft band, somewhere about 8000KHZ. I used a Kenwood TS440S transceiver and I believe it was taped in the summer of 2003. Sorry I can't be more exact. I recorded this broadcast on December 15 2013, starting around 2:40 UTC, on 6,925 kHz AM. 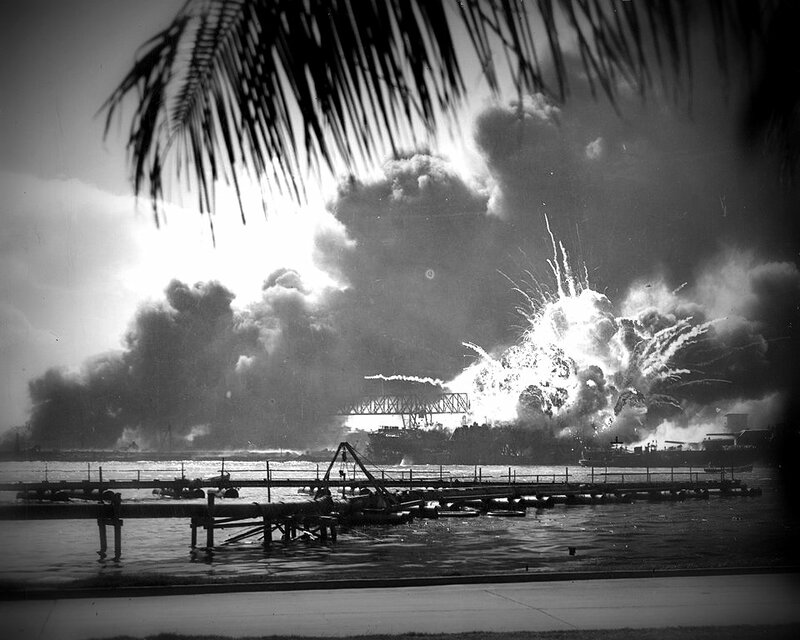 This broadcast was a tribute to WWII and Pearl Harbor and contains news clips and music from the same time period. I believe my recording begins about five or so minutes into their broadcast.